GSEB 12th HSC 2018 results: The Gujarat Board has declared announce the results of GSHSEB Class 12 science exams at its official website gseb.org today, May 10. GSEB 12th HSC 2018 results: The Gujarat Board has declared announce the results of GSHSEB Class 12 science exams at its official website gseb.org today, May 10. 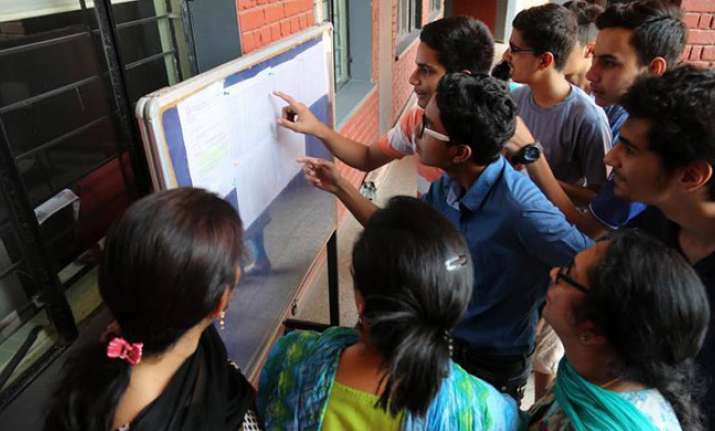 All the students who had appeared for the examinations can check the results through the official website, gseb.org, and on the third party website, examresults.net, indiaresults.com. An official notification on the website says that the GSHSEB Class 12 science exam results will be announced after 9 am today. Last year, a total of 5.14 lakh candidates have registered for Class 12 (general stream) against 1,41,503 in the Science stream. In 2017, a total of 17,59,225 candidates have given the Class 10 and 12 examinations that were held in March. The girls outperformed boys in Class 12 (general stream) Gujarat Board examination, the passing percentage of girls was 70.88 as against 47.28 of boys. As per the normal course of action, the results for GSEB Science Stream are released first. This is then followed by GSEB Arts and Commerce Results for HSC or Class 12th. The Results for Class 10th are released after the class 12th results. -Result alert will be appeared on the screen, soon the declaration of results. Over 1.36 lakh candidates took the Gujarat Common Entrance Test (GUJCET) at 34 centres across the state conducted by Gujarat Secondary and Higher Secondary Education Board (GSHSEB) Monday. In the first session of Physics and Chemistry conducted from 10 am to 12 noon, out of total of 1.36 lakh registered candidates, 1,34,979 took the examinations. The GSEB is responsible for the conduct of Class 10 and 12 exams in the state. Every year, 2 (including 4-semester type examinations) main examinations are held – the Secondary School Certificate (SSC) exam for standard 10 and the Higher Secondary (School) Certificate (HSC) examination for Standard 11 and 12 students in Gujarat. The board is also responsible for the State entrance examinations GUJCET.